As a leader of your content marketing team, you have many complex tasks to juggle. First, there’s the market research and customer profiling you have to do, to make sure that you’re talking to the people who might want your products or services. You spend additional hours in those all-important brainstorming sessions and idea generation meetings. You have to manage the writers, ensuring that they have the information and perspective they need to create the necessary chunks of content. Then comes the distribution phase, where you ensure that the content your team worked so hard to create is disseminated into the marketplace, in a way that actually reaches your target audience. With all that going on, it’s likely that you feel overwhelmed and overworked at times. You just can’t do it all — at least, not without a little extra help. That’s where a service like Zapier comes in. It provides numerous apps, or Zaps, to help you save time and effort throughout the day. Think of the Zaps like IFTTT (If This, Then That) recipes: scripts that create connections and automate certain tasks. 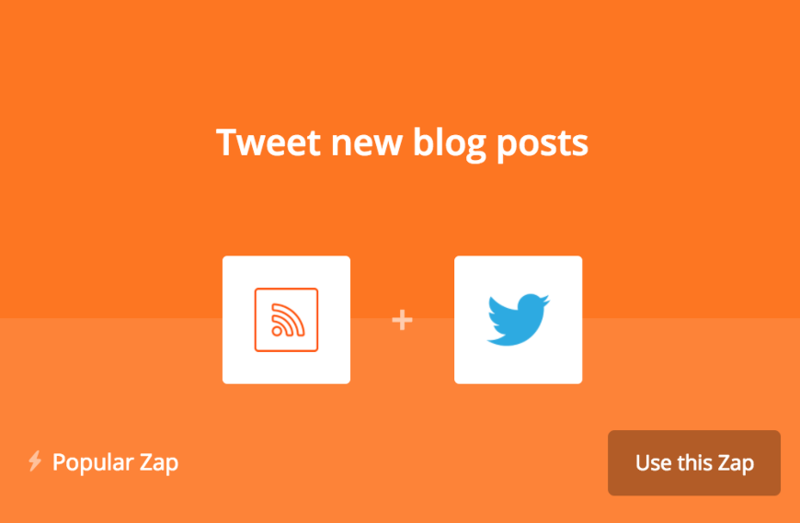 Find out more about Zapier’s apps and how they can help you with effective content marketing. You can set up a Zap that automatically shares your fresh blog content on Facebook. For example, if you put a new article or piece of content on your blog’s RSS feed, then Zapier posts it immediately on your company’s Facebook page. Let your social media content team know about this app, and they’ll thank you! Plus, keep in mind that this Zap doesn’t just work for your company’s Facebook page. You can use it to link your company RSS feed to important employee Facebook accounts, like the Facebook page of your CEO, sales team leader, or company spokesperson. That way, any new blog content shows up on those key Facebook pages right away. You can accomplish the same easy instant sharing via Twitter, as well. 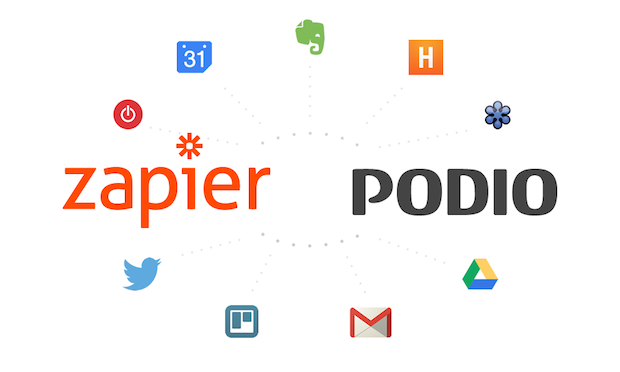 Log into your Zapier account and search for “RSS by Zapier” and click on it. 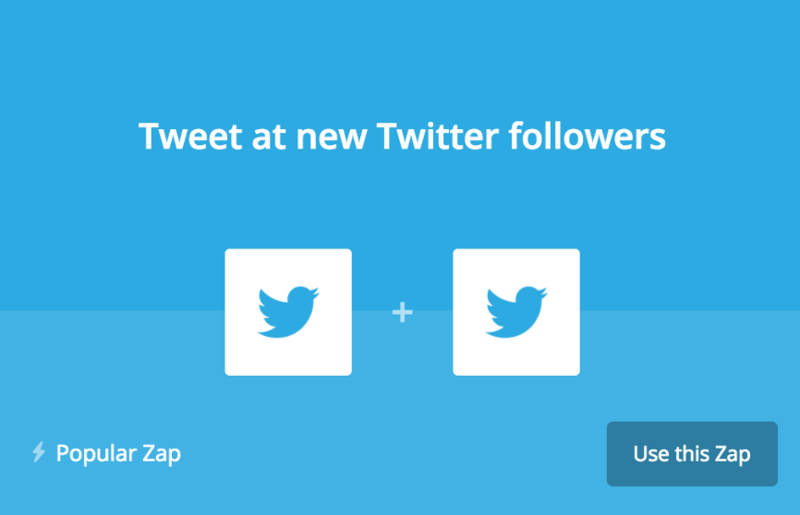 Scroll down until you see the popular Zaps, and then click on Twitter as your social platform of choice. Zapier will take you through a short setup process that allows you to link your company blog’s RSS feed to a company Twitter account, or to a personal one. Extend your content marketing reach by convincing your CEO, COO, and other company leaders and influencers to use this feature for their own Twitter accounts. Instead of manually copying and pasting content from customer emails to a spreadsheet or document, set up a Zap to do it for you. You can order Zapier to send new parsed emails straight to Google Sheets or another destination of your choice. You can even tell it to create new rows with each bit of copied email content in its own row. That’s a handy way to keep track of customer communications. 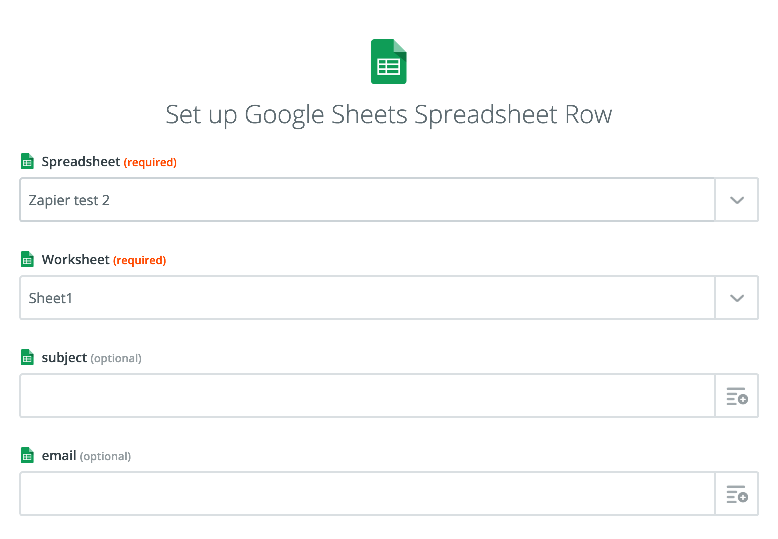 It’s also possible to save tweets or Twitter mentions about your brand to a Google Sheet via Zapier. With that extra time you’re saving, be sure to thank those Twitter users for mentioning your company, or follow up with them to resolve any issues they may have. All these extra pieces of information can give you insight into your customers, helping you build a more accurate client persona for your content marketing efforts. Do you want to know who’s talking about your company on social media? There’s a Zap for that! Create a Zap that informs you immediately when someone mentions your brand or product on Twitter, Facebook, Instagram, or a similar social media site. Instead of having to scour the web yourself for such mentions, use this particular app to save hours of time and gain valuable insight into conversations about your brand. Consider setting up a Zap that lets you know whenever someone downloads a piece of your company’s content. You need to know which blog posts or videos are resonating with your audience, and receiving immediate notifications of downloads can help sharpen your strategy. You can also find a Zap that alerts you about sales resulting from content you published on social media or emailed to your customers. These alerts and sales notifications can go a long way in helping your content marketing team gain favor with your sales team. Another big plus is that Zapier integrates with most CRMs natively so that you can set these up very easily. 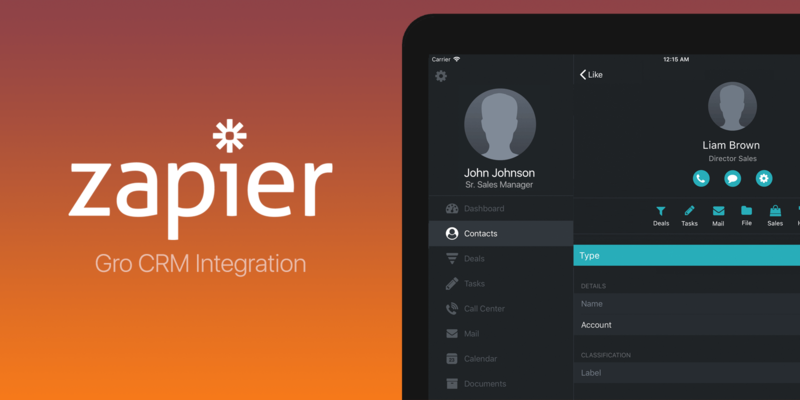 As is the case with Gro CRM, which published a native Zapier integration just weeks ago, if your CRM isn’t currently on Zapier then be sure to keep watching their news, as an integration likely isn’t far down the road. It’s also important to know how much time and effort your team is spending on specific content marketing efforts. You have to be sure that your ROI is sufficiently high and your gains in the marketplace are notable enough for the amount of time you’re putting in. Use Zaps to track the time your team spends on projects, whether you’re using systems like Trello, Podio, Toggl, Freckle, Harvest, or Pivotal Tracker. 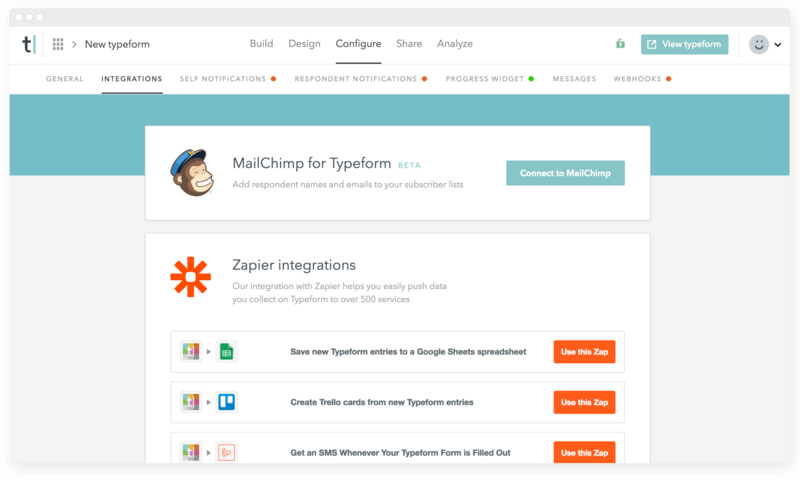 You can use new Typeform entries to update or create contacts within Hubspot, all thanks to a helpful Zap. This means that you can obtain quick, accurate updates to your customers’ contact information, without having to spend a lot of time converting results into a usable format for content marketing purposes. To accomplish this, log into Zapier and search for Typeform or a similar survey platform you like to use. Then scroll down to locate popular zaps. Choose the option that reads, “Create or update contacts for new form submissions (or responses),” and then go through the brief setup process to link your favorite survey platform to Hubspot or your preferred marketing automation system. Are regular forms too boring for your customers? Use a chatbot or adapt a survey tool to gamify your data collection process! People enjoy games, and they’ll feel more comfortable sharing information about themselves if they’re participating in a game or a fun quiz. 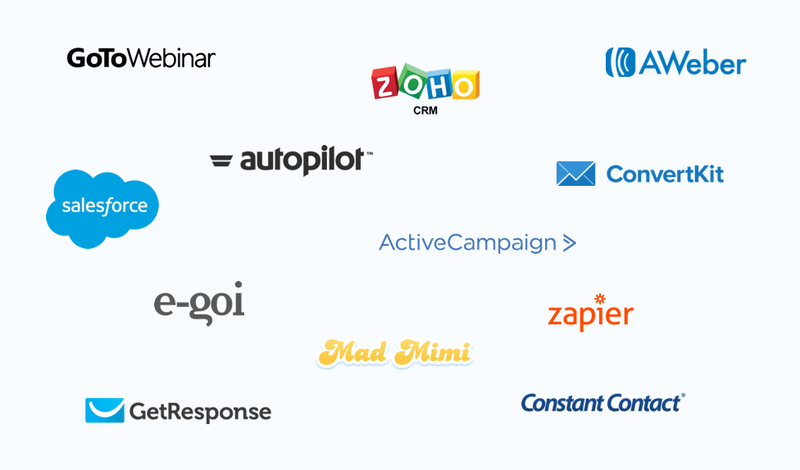 With Zap, you can send the bits of data you gather straight to your CRM system. Do you have new Twitter followers? Make them feel welcome right away! There’s a Zap that allows you to set up an automatic greeting for any new account that follows your company on Twitter. When you Tweet back immediately, thanking that user for following you, it establishes a stronger connection with that person or business. Consider sharing a specific helpful blog post, a special discount, or a pithy piece of content with each new Twitter follower. If you’re collecting email addresses and building a stronger, more effective email list, you can use a variety of Zaps to facilitate the process. Zapier already has Zaps that link tools like Wufoo forms to an AWeber account or that pass along your GoToWebinar signup data to MailChimp. You can set up a Zap that sends the data to Salesforce as a lead every time someone enters their email address into a form on your website. Are you disseminating content through a webinar or some other online event? Select a Zap that links GoToWebinar, Meetup, or Eventbrite events to your social networks. Zapier will automatically notify everyone in your company’s social media space about the upcoming webinar, product rollout, tutorial, or presentation. There is even a way to delay the post until optimal viewing time, to ensure that the maximum number of potential consumers see the new event listing. In addition to these 10 ways to use Zapier apps, there are dozens of other applications to a content marketer’s daily life. Explore ways to nurture leads, manage workflow, monitor a list, or glean new content ideas — all with the help of Zaps. You don’t need to do any coding or dig into the particulars of Zapier’s functions. In fact, most of the apps you’ll need already exist. It’s just a matter of finding them on the Zapier list of popular apps and then going through the setup process with just a few clicks. At the basic level, a Zap is just a trigger, followed by an action. It’s a link between the web apps you already use, making them more efficient and easy to integrate. With faster processes, automated tasks, new notifications, and quicker data sharing, you’ll be on your way to a more productive era of content marketing.